As a medical professional with years of experience in the clinical sector of medicine, making the transition from clinical to non-clinical roles can be challenging. 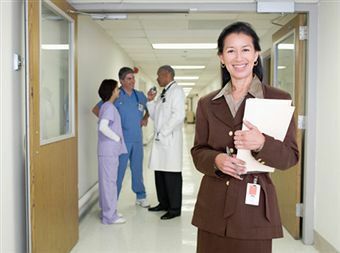 You have the passion and the medical knowledge, but more often than not hospital administrations will hire graduates with business management degrees over doctors making the career transition. After all, you may know how to perform an appendicectomy, but taking on a time-sensitive workload that requires completed reports, reviews and governing departmental mandates is something medical school never taught you. Most physicians will start to slow down their clinical work while pursuing online degrees in business management from accredited schools like Potomac College. Business management degrees prepare professionals for high demands in business sectors and cover a wide range of training in all associated aspects of the industry. It is safe to say that as a working professional your time to complete course work is limited to odd hours. Therefore the online option is advantageous. Some critics have questions whether an online degree is just as valuable as one obtained from a traditional campus setting. Not only are they equal, in many cases an online degree might be even more beneficial in the eyes of some employers. There are many reasons why employers value online degrees over ones traditionally obtained. If you are going to be fulfilling an IT role within business administration, your online degree will attest to your mastering of computer based communication skills. Look at it this way: when you were in medical school you learned about the human body with cadavers and not department store dummies. Learning while being plunged in the instrument itself offers a richer experience than a group lecture. Things come up, especially if you are a practicing physician. You may get called into surgery or get double booked with patient loads in addition to having a full day. Online distance learning is ideal for working professionals in circumstances just like this. The course work is assigned with a deadline, but can be completed at your leisure. There is no need to try scheduling for classes or fighting for parking spots. This method of obtaining a degree makes life much easier for people with daytime obligations. When narrowing down your choices for a college, contact some of the professors and students currently enrolled in the degree program. If the college is a hybrid and has a physical campus, drop in and have conversations. Today’s classroom is a rich amalgamation of students from all ages and socio-economic backgrounds. Speak to younger and older students and ask them to review the course. Given your role as a medical professional, speak to the college’s administration department and ask if others in your situation have taken the same degree program to transfer into non-clinical medical industry roles. Try to determine what your biggest challenges will in completing the degree while working full-time. Once you have some semblance of an idea, you can start preparing for your success and for smooth sailing ahead.